Carres Vineyards and Wineries is one of those references that only experts in the sector know, but that is present on tables and tablecloths around the world, from London to Moscow. It is a traditional crop, excessively indulged and with a limited production that does not seek to grow in size every year, but in quality under the expert guidance of José Luis Torres. 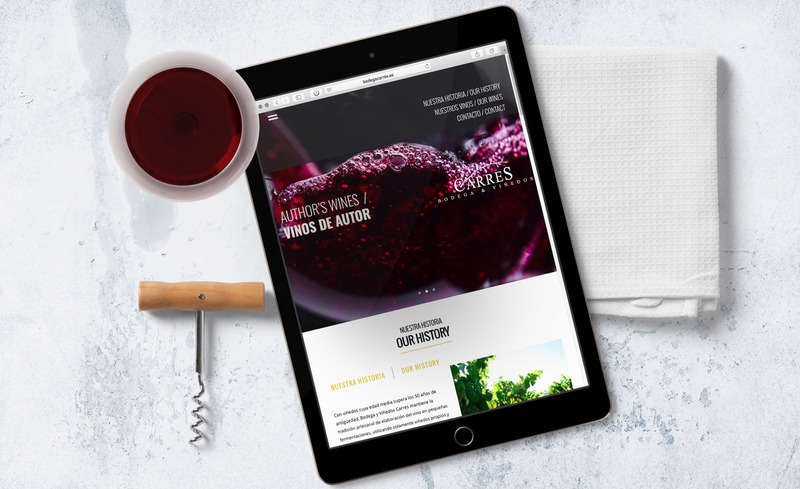 Its new online presence, which is as simple as its essence, is provided by Sanserif.es, giving nuances that make it a reference for this type of winery.